Now Read your Favorite ebooks with one and only Epubor DRM Removal Tool. Epubor brings to you its ultimate and best ebook converter and that too, in its most advanced shape. Epubor is known to be a worldwide business fully dedicated to fulfilling customers’ needs of different products and services. The company offers best DRM removal and ebook format conversion software. Epubor’s products include DRM tool that features All DRM removal, Adobe PDF ePUB DRM removal, Kindle DRM removal, PDF DRM removal, ePUB DRM removal, and Nook DRM removal. The converter tool of the IT giant consists of features, such as Ultimate Converter, EPUB to Kindle Converter, eBook Converter, MOBI to EPUB converter, EPUB to PDF Converter, PDF Password Remover, Kindle to PDF Converter, and PDF Merger and PDF splitter. All DRM removal tool by Epubor is the unique combination of Adobe EPUB, PDF DRM removal, and Nook DRM removal. In the case of Adobe DRM removal Mac, you can simply drag and drop to decrypt majority of ebooks’ DRM. Just add multiple files at the same time to Epubor DRM removal and leave everything to the tool. Advanced decryption feature of the tool ensures fast processing speed, i.e. one item per second. The removal tool removes four kinds of DRM schemes, which include Amazon Kindle, B&N Nook, Kobo, and Adobe Adept. This tool is the handiest tool when it comes to removing DRM from sony reader. 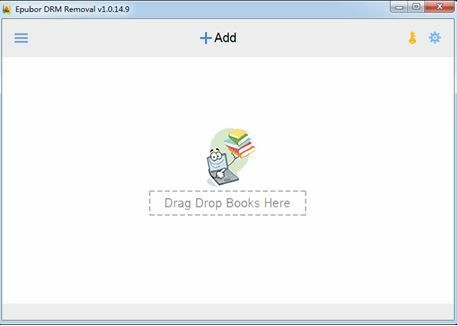 The best part about the removal tool is that it supports various ebook formats, like EPUB, AZW, AZW3, AZW4, PDF, Mobi, Topaz, PRC, and TPZ. ebooks’ DRM removal helps you to remove DRM from ePUB, PDF, AZW, MOBI, and PDB. In fact, this tool helps you to remove DRM from Kobo ebooks too. 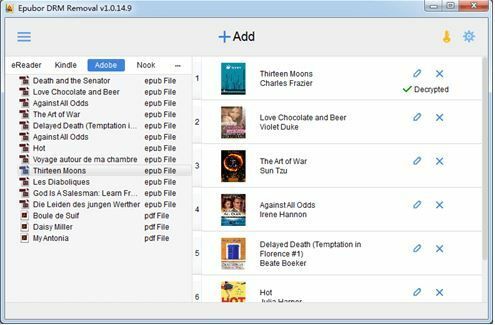 Epubor updates the software to support the latest generation of Kobo DRM. Now, let’s have a look at what’s new about All DRM removal v1.0.15.320. The new and latest version of this tool improves Kobo and Nook decrypt functions, enhances support to edit PDF files cover, and automatically identify and edit Kindle for Mac or PC’s book location. Step 3. Remove DRM protection from AZW, EPUB, MOBI, PRC. What you get with this recovery tool is a comprehensive user manual, dedicated customer service, and instant assistance. User manual specific to the Operating System is included with the program installation. In the case you encounter any issue at the time of using this software, feel free to use troubleshooting guide that offers you immediate solutions. Free customer service for technical support is readily available. the reliable Avangate platform, and 24 hours customer service.